Whether someone is looking directly at you or not when they are angry or afraid has an effect on how your brain interprets those expressions, says a group of Dartmouth researchers. In their study, the researchers found that the direction of another's gaze influences how your brain responds to fear and anger expressed by that person, specifically in your amygdala. , which is the area in the brain that regulates emotions, detects potential threats and directs emotional behavior. Published in the June 6 issue of Science, the study reports that when viewing pictures of angry expressions, people exhibit more amygdala activity when the angry person in the picture is looking away. When viewing expressions of fear, the amygdala is more active when there is direct eye contact. 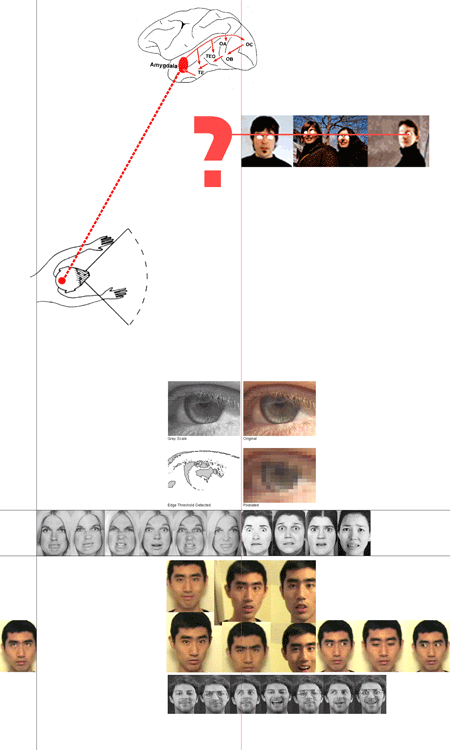 This study is the first to demonstrate that gaze direction is an important signal in how we perceive facial expressions, according to the authors. "Some people may be surprised to learn that the amygdala actually responded most when threat cues were ambiguous," said Reginald Adams, the lead author on the paper. "This may indicate that the amygdala perceives heightened threat in uncertainty, or that the amygdala has to work harder to make sense of the ambiguity surrounding the threat. This finding highlights the need for including eye gaze direction in future research examining how emotion is processed and perceived," said Adams.